You can never have too much power, and this 550 horsepower M178 engine proves it. 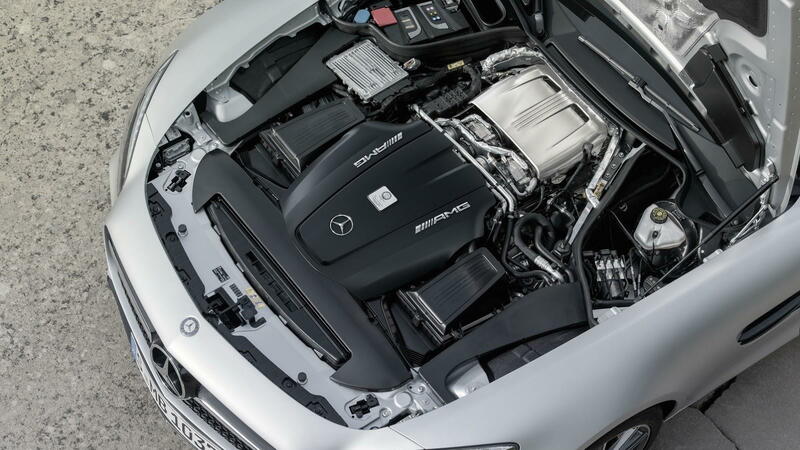 Built with a "hot V" design, each turbo charger is positioned in between the cylinder heads. Not only does this increase the overall amount of distributed boost, but it also helps remove turbo lag. This roadster manages 0-60 in 3.7 seconds and has a top speed of 196 mph. For extra protection, each of the aluminum block cylinder walls are coated with a thin layer of iron to help reduce wear and keep this monster on the road. 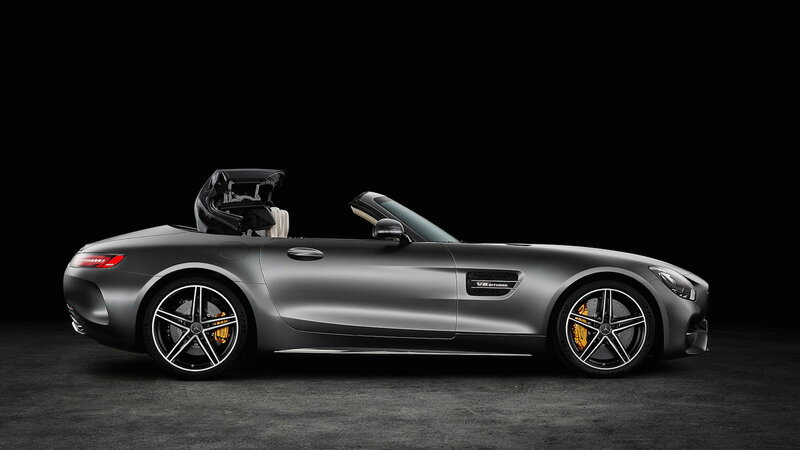 >>Join the conversation about the AMG GT C Roadster right here in MBWorld Forum! As an enthusiast, listening to your car respond according to how gentle or aggressively you drive is an emotional experience. The AMG performance exhaust system is programmed to adjust the pitch produced by the GT according to its driving modes. In the “Comfort” setting, the low sound of a typical V8 can be heard, while in the “Sport” or "Race" settings, the pitch becomes more aggressive. This works using variable adjustable flaps inside of the exhaust piping that open and close according to the driving mode. 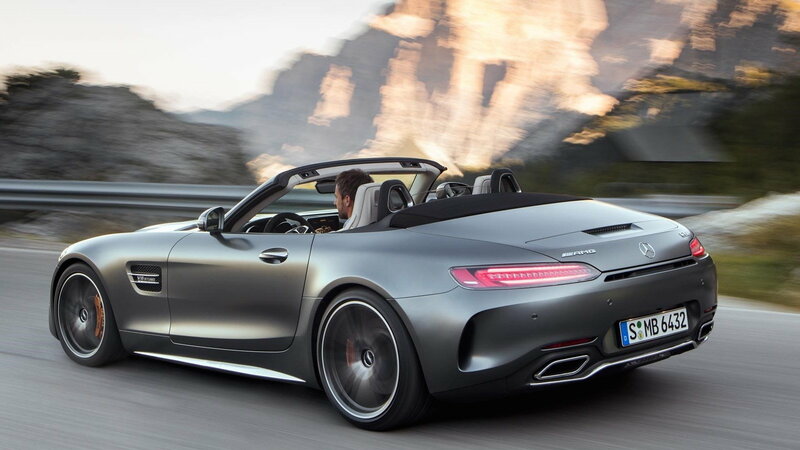 As expected, the interior of the Mercedes-AMG GT C Roadster feels like something out of an airplane. The seats are made from leather and stain-resistant Alcantara fabric. The dashboard takes on the design of a wing, flawlessly flowing throughout the rest of the cabin. As for entertainment, Mercedes has you covered with its patented infotainment system. It comes packed with all your favorite features including Bluetooth, Touchpad and Burmester sound system.